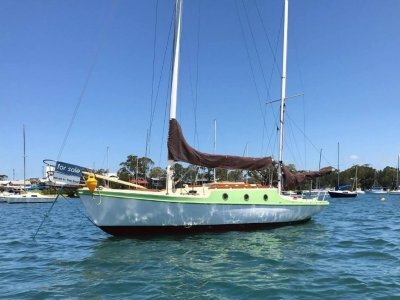 This classic timber Gaff rig sloop boat was built in Apollo Bay in Victoria in the mid 1940's and has been designed to handle the oceans of that region. Couta's have a rich history, having initially been used as fishing boats and are now widely used as versatile racers or family sailing boats. 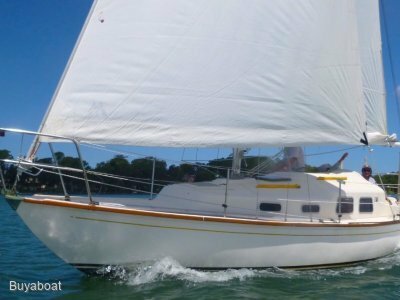 With traditional lines, flush deck, gaff rig and long bowsprits, the Couta's are pretty boats that are admired sailing boats. Antifouled and hauled-out of the water in 2019, her hull is in great conditon. 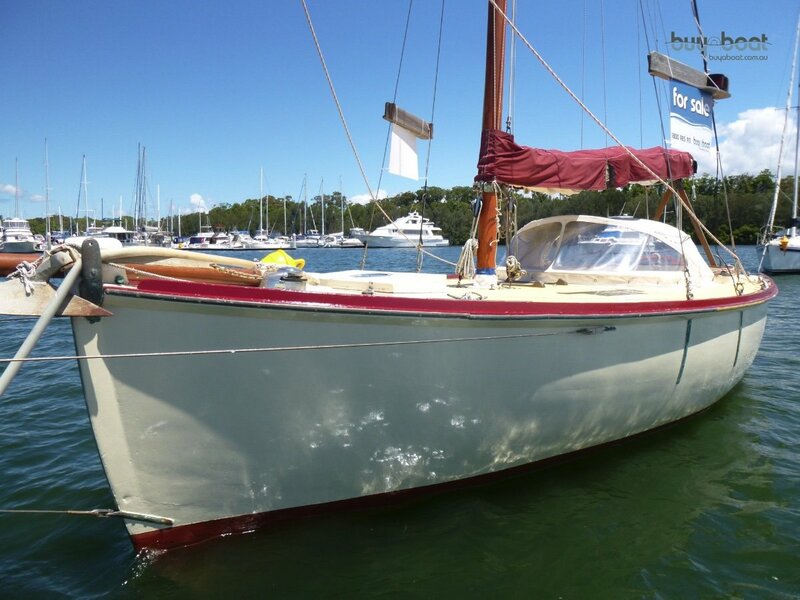 Call Ann from buyaboat for any further questions or to book an inspection 0433969331. 25 HP outboard Suzuki, Originally fitted for a: Yanmar 3GM30,30 hp disel motor, Shaft drive with a self feathering Hydraline propeller. Installations are ready for new engine to be put in if inboard engine is preferred. Provision for water but not currently being used. 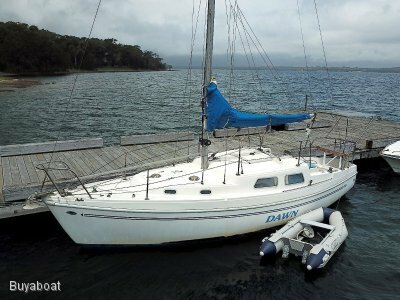 V Berth double with 2 Singles midship and the possibility of two other singles. Life jackets plus a Life Ring and two fire extinguishers. 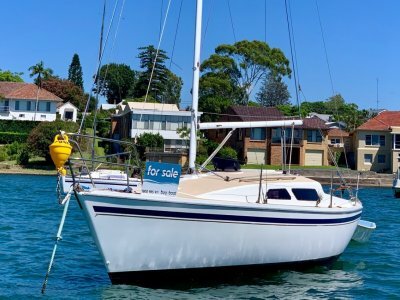 These boats are solid, beamy and very stable in the water and therefore an ideal boat for all of your freinds and family.